If you are interested in learning more about medical school requirements and the application process, please contact the Office of Admissions and Recruitment at 602-827-2005. Our office hours are 8:00 a.m. – 5:00 p.m., Monday through Friday. Become familiar with the University of Arizona College of Medicine – Phoenix by spending two hours learning about the college from the admissions team and touring the campus with a current medical student. Register here. Undergraduate and community college pre-health organizations are encouraged to invite the admissions team to present on the admissions timeline, process and requirements. Depending on the availability of current medical students, this visit may also include a medical student panel. A request for this presentation can be made by emailing the admissions team (a minimum of one month’s notice is requested). Are you planning to apply to the UA College of Medicine – Phoenix this year? If so, this is the workshop for you! This one-day event is held annually in May and includes presentations by the associate dean of admissions, an overview of premedical requirements, admissions committee and medical student panels, one-on-one appointments and more! Register today. This three-year program is for Arizona residents who are starting their sophomore year of their undergraduate degree. 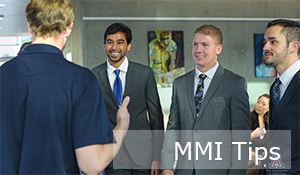 Each year of the program offers academic and social support, as well as research and clinical opportunities, guiding students to become competitive medical school applicants. Learn more. Summer Scrubs is a summer program designed to encourage and inspire Arizona high school students to explore their interest in health care professions. Volunteer Counselors will be selected to mentor high school students for one week in the month of June. Each Counselor will monitor the progress of assigned students, supervise program activities, assist guest speakers and lead health related activities. Depending on the session(s) and your availability, this can be up to a 30-40 hour per week commitment.